We would like to thank you for your prayers for our firefighters and Colorado fires. Canada sent four water planes and 100 extra firefighters from elsewhere arrived to help put out the fire. God enabled the weather to change and we actually got some rain that we prayed for. (Praise the Lord ... people were actually dancing in the rain) One little church boy asked Joyce if it was okay to pray for rain. :o) So we had a good opportunity to talk to the children about praying. SUMMIT COUNTY — Despite facing windy conditions, firefighting crews were able to fully contain the Pine Ridge Fire that burned northeast of Grand Junction for eight days, at one point forcing the evacuation of an entire town as the flames raced toward De Beque. Incident commander Bill Hahnenberg declared the fire contained at about 6 p.m. on July 4. The fire burned across 13,920 acres in dry brush and scattered stands of piñon pines. At times, the fire burned within sight of the Colorado River and required the intermittent closure of I-70. In some of the more remote locations, firefighters were able to attack the fire with the help of railroads leading through the area. Elsewhere in the state, no new fires were reported and crews made progress in extinguishing other major fires. Monsoonal moisture is expected to be a factor in the weather the next few days. 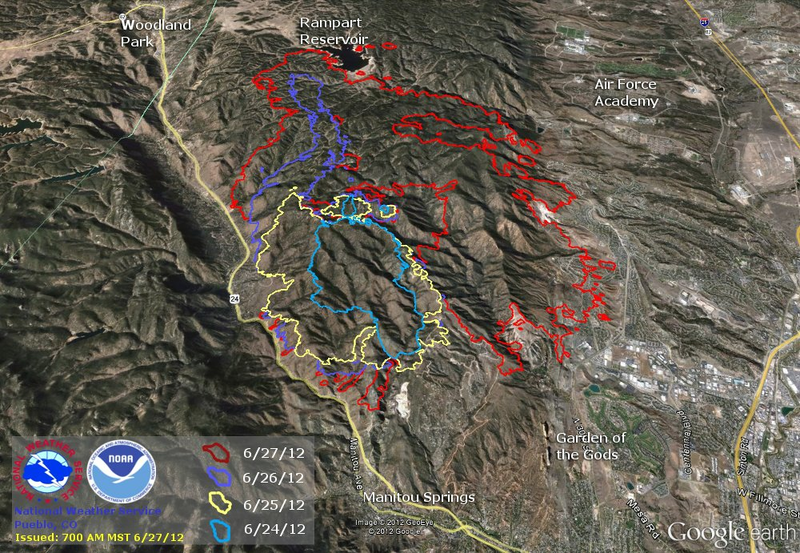 In places, heavy showers could help firefighting efforts. 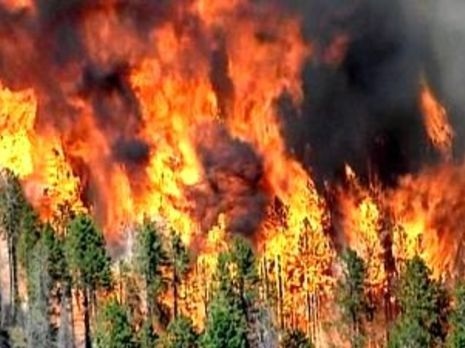 The Waldo Canyon Fire is 90 percent contained at about 18,000 acres, after destroying 346 homes in a terrifying run in suburbs on the western edge of Colorado Springs. The Little Sand Fire, northwest of Pagosa Springs, is about 40 percent contained, with most of the fire activity confined to remote areas with no threats to structures. The San Juan fire in many areas is creeping along the ground consuming brush and other low fuels in a way that’s beneficial to the fire-adapted forest ecoystem for the long term. The Weber Fire, which burned to within 1 mile of Mancos, is 90 percent contained, as crews now are mainly on patrol duty suppress any flareups, and to start basic rehabilitation of fire-scarred hillsides that face a threat of erosion and flash-flooding. Thank you so much for your adding this information to the mission site, so that our Canadian family will be in prayer for us. 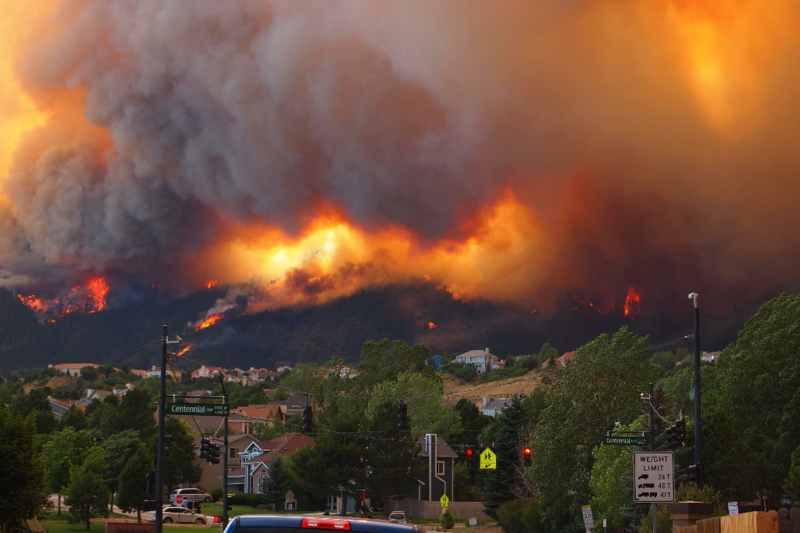 Larry and I were in Colorado Springs for District Assembly and witnessed the fire, people being evacuated and animals running franticly on to the roads etc. Larry has taken pictures of the fire as seen from our church and the fires other places in Colorado if you are interested in seeing photos. 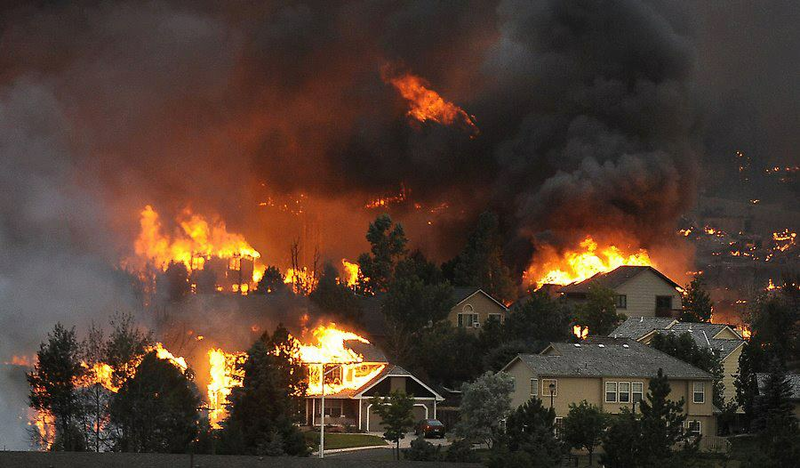 Colorado is experiencing so much drought and terrible fires. Our prayer is that God will send rain, firefighters safety and wisdom, evacuees peace and strength, and that the physical fires will turn to spiritual fires. I haven't updated my e-mail list yet because I'm on vacation this week, but I wanted to send out this urgent e-mail from Rev. Janette Mikatich who is in charge of our Nazarene Disaster Response and Compassionate ministries for the district. Please see the website noted below and other information if your church wants to help with the fire victims. First and foremost, thank you for your hearts of compassion and willingness to help those impacted by the various fires actively burning throughout our beautiful State. I could do a short training on disaster response, recovery and relief and the difference between these phases of any disaster, but I don't want to loose your attention right away. Suffice it to say that self-deployed volunteers and unsolicited material donations are what we call "the disaster after the disaster." PLEASE DO NOT ENCOURAGE YOUR PEOPLE TO SELF-DEPLOY OR DONATE UNWANTED ITEMS!!!!!!! The most up-to-date and accurate information will always be found on the COVOAD website:HelpColoradoNow.org. STAY SAFE by volunteering with a reputable agency! Please Click here to sign up to volunteer and list in the 'Comments' section the name of the fire you would like to give your time to. If a volunteer need is identified, you will be contacted by the agency that can utilize your skills. If you are in northern Colorado, you can deliver your donations to the Ft Collins location noted on the website any time between 9 am and 7 pm seven days a week. For those of you in the southern area of our State, the Waldo Fire is still in high alert response mode. Please patiently wait until they transition to recovery and open a Donations Center in the area. Again, this website will help you to stay informed. Finally, if you believe your church would like to be a part of any rebuilding efforts in the future, please send me contact information for your point person and I will let them know about opportunities as soon as they become available. We all know that our brother Bob Franz (South Broadway in Boulder) is in a pre-evacuation status at this time. I would appreciate being kept informed of any of our church family whose homes are destroyed and put our efforts there first. 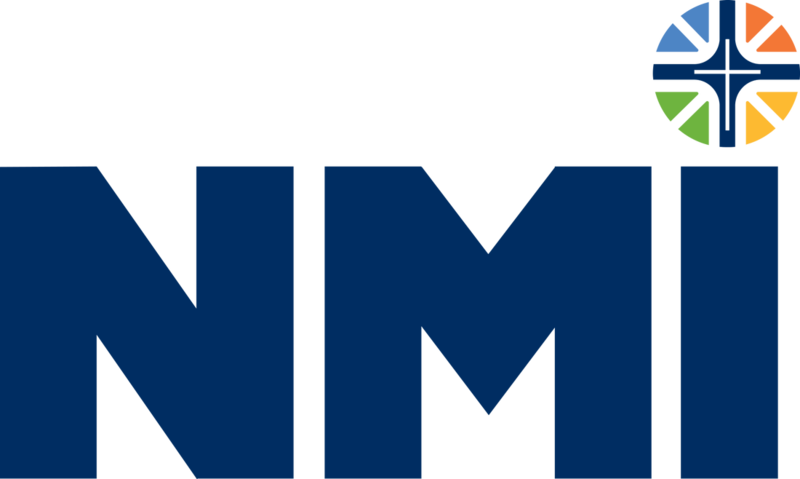 Let me know how I can support you, Pastors and NMI Presidents, in what you will be doing to reach out to your communities on the heels of such devastating loss. What wonderful opportunities we will have to demonstrate hope, love and unity in Christ!